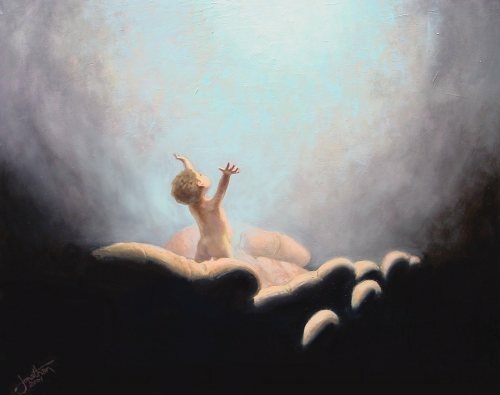 Scripture: John 1: –  children born not of natural descent, nor of human decision or a husband’s will, but born of God. Observation: When I was born again it was a totally new life. The sins I did before I couldn’t do, the change in my heart, the softening, love for others. It was almost instantaneous. God directed as a new child yet He continues to allow me to make choices. I wish He would just take over completely. Application: I need to live my life as the child of the all powerful creator. I have a new legacy to live up to and I should be introducing others to my Dad. Prayer: Dear Father make me a chip off the old block. May others see the family resemblance and want to be part of the family. Scripture: Luke 24:  And they stayed continually at the temple, praising God. Observation: They were continually praising God. I have that same opportunity to continually praise God. God called my body His temple. With my actions, thoughts and words I can choose to praise God. How I treat others and spend my resources and time is another way to praise Him. All day long I have opportunities to stop and pray and thank Him. Application: Be more aware each day how to spend my time in praising God. Each action should honor Him and look for ways today to please and praise my Creator. Prayer: Dear Lord may I praise your holy name by the things I do this day. May you be in the center of my thoughts and actions. 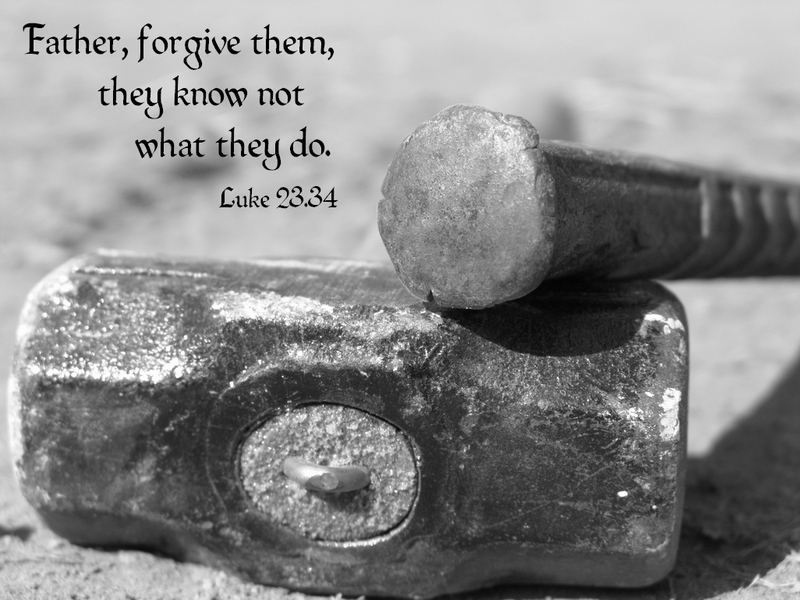 Scripture: Luke 23:  Jesus said, “Father, forgive them, for they do not know what they are doing.” And they divided up his clothes by casting lots. Observation: God forgave me even though I didn’t know what I was doing, which is most of the time. Most of my life I didn’t know and consistently sinned against God. Yet even though I gave up on myself He never gave up on me. I belong to God now, yet I still stumble into sin and I know He forgives me. 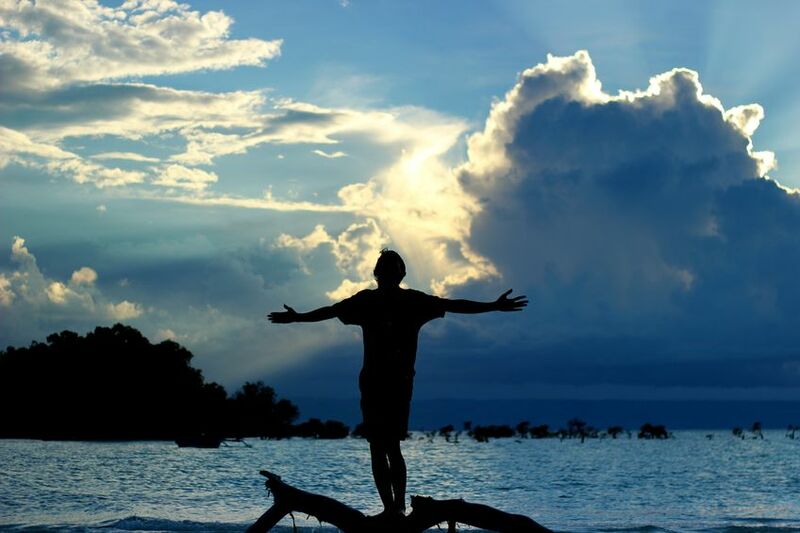 Application: It’s time I forgive others and receive them the way God has received me, with open arms. To live my life with my eyes wide open and realizing what I’m doing and doing it to glorify God. Prayer: Dear Lord give me the heart of Jesus. A kind and compassionate heart may I sin no more and honor you. Observation: I’m always asking God to take the cup (pain) away from me, but do I do His will? I don’t like to be uncomfortable or in pain or sometimes I just want to do what I want. I will grow closer to God when I go through the trials and tribulations then just trust in Him and keep my eyes open to what He wants of me. Application: Instead of focusing on God taking the cup from me, I should concentrate on doing His will. 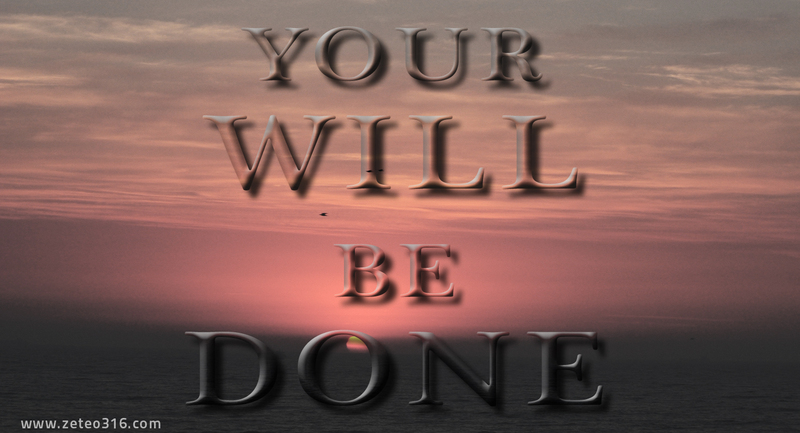 In all I do, especially the difficult tasks, I need to seek God’s will in my life. Prayer: My Lord increase my faith and open my heart to do your will in my life. May I complete the task you set for me and glorify your name. 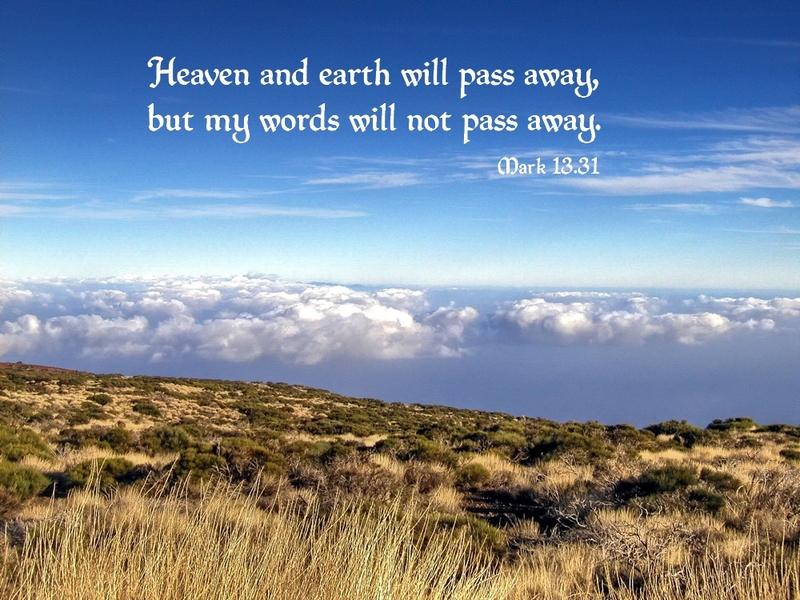 Scripture: Luke 21:  Heaven and earth will pass away, but my words will never pass away. Observation: God’s Word is planted in my heart and will last for all eternity. All that Jesus has said, all the concepts will still be there in heaven. The more I learn now the better equipped I will be to do God’s will here and fulfill my purpose and be ready to worship God in heaven. Application: I need to continue to read each day, but then meditate on His word so it is planted in my heart. I need to memorize scripture and use it each day in honoring God. I should be living my life by His Word. Prayer: Dear Lord plant your word in my mind and heart. May I have it for every decision I make, people I speak to and action I take. 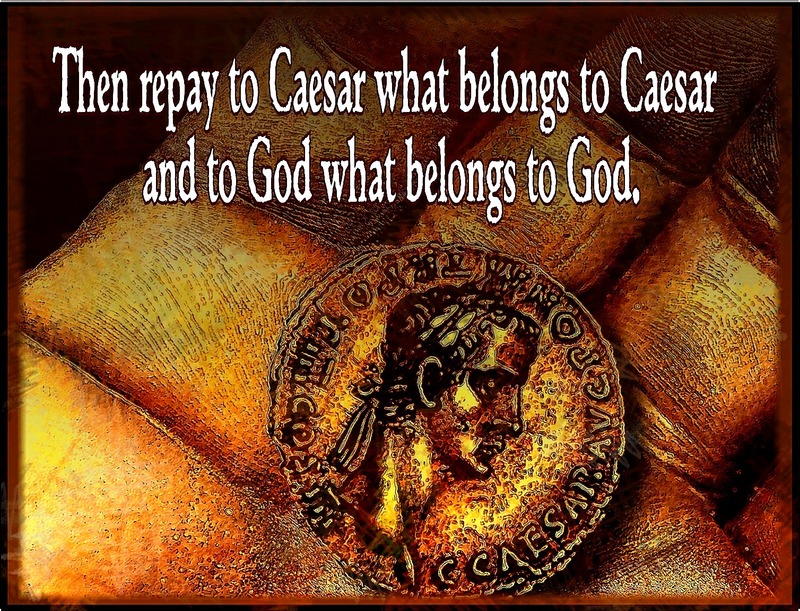 Observation: To often I give to Caesar what is God’s. The time I spend worrying and thinking of the things of this world should be devoted to God. I have responsibilities in this world to work and love others, but if I’m not doing it for God’s glory I’m not doing it for the right reason. Caesar (this world) should have my respect, courtesy, obeying laws, only because God tells me so in His word. Application: Doing everything in God’s name. My obedience in this world should reflect God’s love in my life. I shouldn’t be obedient because I’m afraid of punishment, but because I would be disobedient to God. Prayer: My Lord this whole life is yours, use it to honor you. Observation: We are called to be more like Christ. 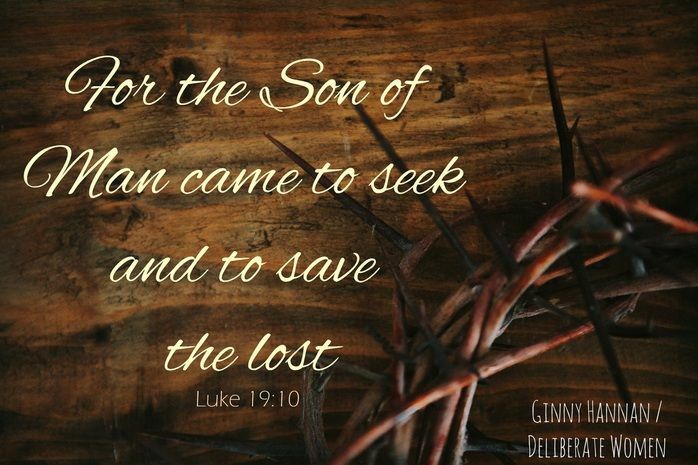 This was Jesus mission to seek and save so it should also be every Christian’s. No matter what we are called to do the end result must have something to do with bringing others to Christ. Application: Today I may have an opportunity to be an example of Christ’s love to others. I need to be aware of any situation that God may give me to lead someone to Him. I need to be loving, a servant, caring and compassionate. Prayer: My Lord give me the opportunity today to show your love to someone who doesn’t know you. Place the words in my mouth and open my eyes to what you desire.